When human illness rises, the environment suffers, too. Posted April 5th, 2017 by Kelsi Hines & filed under Uncategorized. We are excited to share this research led by OHR member, Katie Fiorella, examining links between human and ecosystem health, to be published this week in PNAS. Thanks to Erin Milner, Chas Salmen, Matt Hickey, Brian Mattah, Dan Omollo, Abdi Odhiambo, Elizabeth Bukusi, Lia Fernald, and Justin Brashares for their hard work on this research! Posted March 25th, 2017 by Kelsi Hines & filed under Uncategorized. Please welcome Richard Magarenge, Co-Founder and Executive Director of Organic Health’s Response’s Ekialo Kiona Center on Mfangano Island, in his first ever visit to the United States! After 8 years of dedicated cross-continental collaboration, Richard is embarking on an ambitious and exciting American tour that is taking him to three different timezones in Minnesota, Colorado and California! 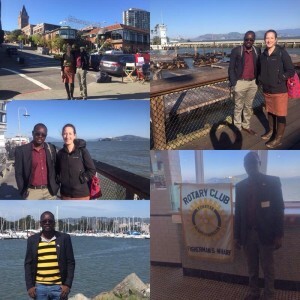 Now on to the second leg of his visit, Richard joins us in the Bay Area next week with Co-Founder and Board President, Chas Salmen, and the Executive Director of our US office, Kelsi Hines. Organic Health Response has built a strong community of supporters in the Bay Area region over the years, and we would love to have the opportunity to thank you and say hello! Please join the leaders of Organic Health Response for a happy hour on Thursday, March 30 at 5:30 pm at The European (490 Geary Street) near the Powell Street BART station in San Francisco. Posted March 13th, 2017 by Kelsi Hines & filed under Uncategorized. Join Minnesota International Nonprofit Network (MINN) for a Talk and Tour of Organic Health Response (OHR) to get an in-depth look at the organization in a small group setting. The agenda includes an overview of the organization by Richard Magerenge, Co-Founder and Kenya Country Director, and Kelsi Hines, Executive Director, as well as a private tour of their space at Impact Hub MSP. Register here on the MINN Eventbrite invitation! Richard Magerenge is a Co-Founder and current Kenya Country Director of OHR. Richard will be sharing his inspiring story of growing up on Mfangano Island, Kenya, losing both of his parents to HIV/AIDS, becoming a trusted community leader, getting his family farm registered on the World Wide Opportunities on Organic Farms registry, and ultimately co-founding OHR with Chas Salmen who was a visiting medical student exploring sources of the HIV/AIDS epidemic in Western Kenya. OHR has now become a truly transformative community-led health and sustainability organization that serves Mfangano communities in Kenya. Click here to read Richard’s full story. *The MINN Talk and Tour (T&T) is an opportunity for MINN members to gain first-hand knowledge of the workings of international NGOs in the state. The T&T agenda is simple. 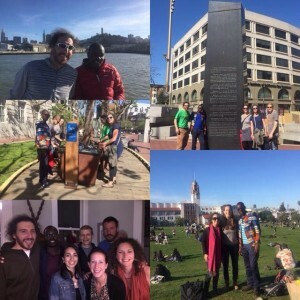 Employees of an international NGO offer a private tour of their facility and then field questions about their organization’s work and their office culture. While MINN T&Ts are free and open to MINN Members, space is limited, and registration is required. Please consider joining the hundreds of international professionals who already have a MINN membership. Click here to join. If you have questions regarding your membership write us at membership [at] minnesotangos [dot] org. There will be a networking opportunity following the Talk and Tour at Modist Brewing starting at 7pm. The Modist Brewing event is open to all who would like to network with the MINN community and OHR staff! Posted December 5th, 2016 by Kelsi Hines & filed under Uncategorized. 100 at-risk girls now have access to reproductive health education! Your generosity sent us above and beyond our #GivingTuesday goal! The $5,620 raised will allow us to impact over 100 young girls with the reproductive health education and services they deserve. We are so grateful for your support, thank you! Your generosity will help educate and protect this at-risk population from HIV/AIDS, STIs, and teen pregnancy. While the number of HIV/AIDS cases has gone down significantly in the United States, the epidemic continues in western Kenya. 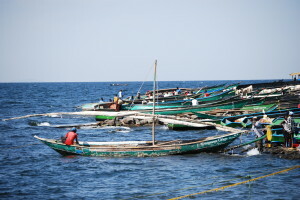 Mfangano Island, located in Lake Victoria, has one of the highest prevalence rate of HIV/AIDS in sub-Saharan Africa – and women are disproportionately affected by the virus. A waning commercial fishing industry has devastated the island’s public health, environment and economy, leaving 30% of residents infected at a rate nearly 6 times the national average. Giving adolescent girls access to reproductive healthcare and education is essential to winning this fight. Yet women’s access to these critical services are under attack in the U.S. and in many places around the world. 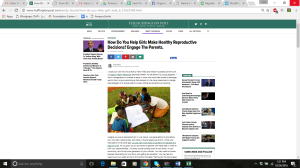 It’s becoming harder for women to attain the knowledge and resources they need to to make healthy reproductive and sexual health decisions. Community-based interventions and programs give participating girls enhanced decision-making power to stay in school, protect their health, and chose when to marry and conceive. We anticipate higher rates of school attendance, lower rates of teen pregnancies and HIV/STD infections, and fewer child marriages. Check back for our 2017 roll-out! Posted October 24th, 2016 by Kelsi Hines & filed under Uncategorized. Posted October 18th, 2016 by Kelsi Hines & filed under Uncategorized. This month, the Ekialo Kiona Center received its fourth shipment of 375 mountain bicycles from our partner Bicycles for Humanity-Colorado. After 3 months of transit and 6 months clearing the onerous port of Mombasa, the bikes finally arrived on Mfangano shores! 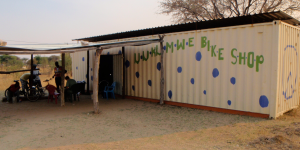 For the past 4 years bicycles have been used to incentive residents to learn their HIV status. Check out this cool video by B4H about how they are used for social impact. In 2017, the Ekialo Kiona Center will use the fourth shipment not only to improve knowledge of HIV but to generate sustainable, in-country revenue for the organization. 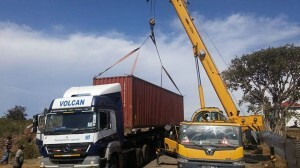 EK Staff will use the shipping container and turn it into a retro satellite bike shop on Kenya’s mainland. 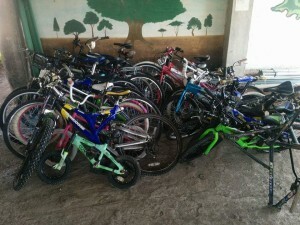 Though HIV testing will not be required to purchase these bicycles (as it is at the Ekialo Kiona Center), this shipment will be sold at full retail price. Revenue generated will put our Kenyan staff in charge of owning and generating in-country revenue to support services at the Ekialo Kiona Center. Moving forward, bike shipments will be split between making social impact on Mfangano through HIV testing, and generating income through our satellite shop for our center. 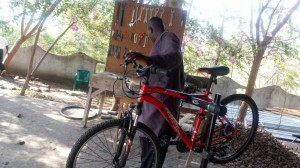 Next time you travel through Mbita, Kenya, stop at our new bike shop! Together, We Are Making Mfangano Green Again! Posted July 27th, 2016 by Kelsi Hines & filed under Uncategorized. 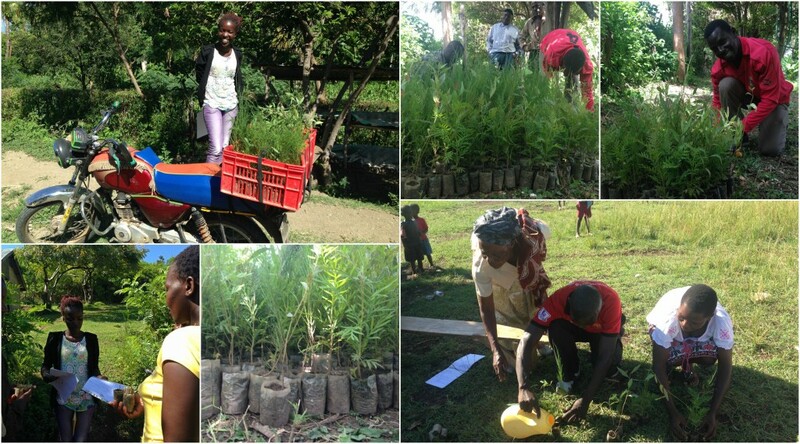 In May, 2,500 native tree seedlings were distributed during the rains to kanyakla groups across the island, in efforts to reforest Mfangano. Every tree was followed up during group kanyakla sessions, after 2 weeks and 4 months. Our philosophy doesn’t stop just at planting. Community members are educated on planting and care instructions as well as the social, environmental and financial value of trees, specifically those native, on the Mfangano community health ecosystem. Plant now – harvest in the future! Community members learn about different types of trees and ways to financial invest now to pay for school fees and health care costs in the future. Nicholas Olambo along with EK Nutritionist Niva Ligawa will follow-up with each tree. Together they are also identifying talented farmers in the area to serve as peer mentors to other farmers in their region. Their goal is to create a network of peers on Mfangano, create awareness around the importance of re-foresting our hillsides while creating sustainable farming practices around the lake. Together, we are making Mfangano green again! Posted July 19th, 2016 by Kelsi Hines & filed under Uncategorized. How do we overcome stigma? How do we ensure we all know our status? How can we better care for one another? With support from Microclinics International, the Segal Family Foundation and our supporters around the world, Organic Health Response is exploring these exact questions through our Kanyakla Program. On Mfangano Island, deep stigma of HIV remains a major obstacle to accessing and remaining in care and treatment for island residents. Even though community members today will say HIV stigma on the island is nowhere near where it was 10 years ago, it continues to block open discussions, effective actions and community solidarity towards reducing the overwhelming rates of HIV – 30% around the lake shores, almost five times higher than the national average. By the end of July over 450 community members will have disclosed their HIV status to their self-chosen teammates through OHR’s Kanyakla Program. The word for “team” in the local Dhuluo language, “kanyakla” works by organizing small groups of 5-15 people – neighbors, friends, church members, futbol teams – and supporting them through an 8-session curriculum on HIV to better their own health and the health of their kanyakla group. After learning together, each group will take a collective leap of faith in the strength of their commitment to one another and will participate in a group HIV status disclosure session. By being a fully transparent about one another’s HIV status, these groups will become a powerful platform for helping support those who are in need of HIV treatment. The kanyakla program was rigorously tested during a pilot study from 2011 to 2013 (read the results in this scientific publication). During this evaluation we determined that the intervention reduced drop out of HIV care by 50%. 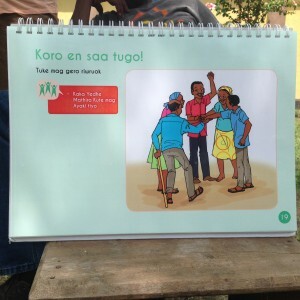 A full randomized control trial (RCT) is currently underway to assess the impact of the kanyakla intervention on improved HIV treatment literacy, retained engagement in HIV care and treatment, reduced stigma and better social support from the community.